We are not going to insult your intelligence by asking you what your business’s greatest asset is. The answer has almost become a cliché - the greatest asset of any business is its people, its ‘human capital’ (an ironically de-humanising phrase). What we do want to do is take this one step further and be more specific. Your business’s greatest asset is actually one person in particular. That person is you. 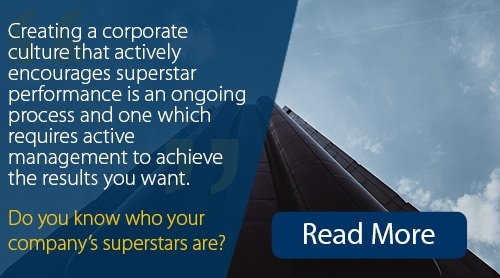 Whether you are the owner, the MD or the CEO, as the business leader it is you who builds the team – it is you who recruits the other high-value assets and leads them to success. This sounds like a challenge, but if you are reading this, it is a challenge you are rising to every day. You are a leader, but are you a ‘Level Five Leader’? The level five leader is defined by business guru Jim Collins in his book Good to Great. Such a leader sits atop a five-tier hierarchy and can be summed up in four words: personal humility, professional will. Great leaders don’t lead with their ego. They know that the most important things in their business are the people and the results. Collins is not alone in his view of the successful leader suppressing their ego – Ryan Holiday devoted an entire book, entitled Ego Is The Enemy, to the drawbacks of what he calls the ‘epidemic of ego’. Egos aside, let’s get back to Collins and his views on building the right team. He espouses that when it comes to recruitment, a great leader takes a ‘who first, what second’ approach. This is the principle that if you find the people with the right values, intelligence and attributes, then your business will have the flexibility to adapt to changing business conditions, whatever happens. The opposite approach is ‘the genius with a thousand helpers’. The genius knows everything, including where the business is heading, so they surround themselves with people with that specific endpoint in mind. The problem with this attitude is that things rarely stay the same in business, so the second something doesn’t go as planned, the genius and their helpers are ill-equipped to deal with the resulting fall-out. Consider Steve Jobs. When he founded Apple in 1976, he was the archetypal egotist genius, who became disenfranchised with the way the personal computer industry had developed, and was ultimately forced out of his own company. By the time he returned in 1997, his ego was balanced with a little more humility. He set about building a team around him that shared his vision, who were equipped to continue his legacy after his death. Level five leaders are creative but modest. 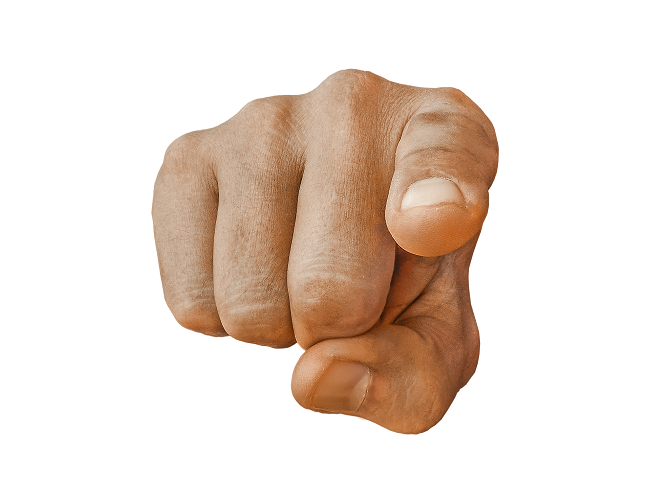 They don’t apportion blame to others or to factors outside their control – they take the blame themselves and learn from the experience. What they do apportion is credit – a level five leader will always acknowledge the contribution of others. They are ambitious, but their ambition extends further than their own achievements. They channel their ambition into their business and into those around them. By leaving their ego at the door, a level five leader does not resent their potential successors and will always wish even greater success on the next generation. Better to ask them what they think the answer is, or even ask them a different, but related question. In this way, you can help them develop critical thinking skills, help them come up with solutions for themselves and grow them as leaders in their own right. Have a think about a typical day in the office. If you are asking more questions than you are answering, you are nurturing learning and growth within your company. Your team will begin to think more like an owner or CEO and become more invested in their actions. This makes it easier for you to delegate, empowering others to contribute to the running of your company and freeing you to focus on further improvement. A level five leader never speaks first. Why? Because when the boss gives their opinion first, everyone else tends to fall in line – it would take a brave individual to directly challenge the opinion of an egotistical leader. Instead, it is better to hear the thoughts of others before offering your own. After all, you surrounded yourself with these people so they would contribute to the dialogue, not just nod in agreement. Level five leaders are always the last to speak because they understand that you achieve more when you use the power of the team, not just one individual. Filling your top team with level five leaders is a nice idea, but probably something of a stretch. However, that’s not to say that your team members shouldn’t have an understanding of what goes into becoming level five. It’s not about you, your title, the view from your office or the best parking space. Sometimes, when you promote someone to their first big title, be it Vice President or Director, they may think they’re leading by virtue of that title, which couldn’t be more wrong. They can only lead by virtue of the respect they earn. Respect comes not because you have a large salary or impressive title. It is earned through personal humility and the understanding that everyone is together on the team to get the best results for the company. This is the only agenda that should be at play in a fully functional team. One last note on personal humility. Some years after writing Great to Good, Jim Collins came in for some criticism, as a number of the companies he held up as examples of level five leadership fell on hard times (and in some cases, collapsed completely). Collins acknowledged this in his later book, How the Mighty Fall, which concluded that “whether you prevail or fail, endure or die, depends more on what you do to yourself than on what the world does to you”. A suitable epithet for a level five leader. A great team is a huge asset to a fast growing business, and it is fair that not all of the responsibility for the success or failure of the company should fall on your shoulders as the business leader. However if you can aspire to the tenets of level five leadership and inspire those around you to do the same through mutual respect and a shared vision, you are undoubtedly the greatest asset your business has.